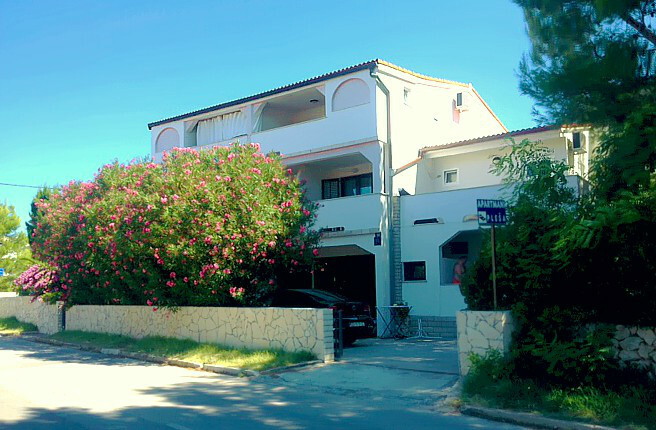 Pleša Apartments are located in the village of Stara Novalja in the plane of the church of Sv. Mary, which is located by the sea. The smaller beach is 50 m, a large sandy beach Planjka approx. 200 m away, so our guests can have a peaceful and convenient family vacation. There is 4 apartments, 3 apartments for 4 persons and one large apartment for 4-6 persons. Each apartment has a separate entrance and terrace overlooking the sea, barbecue and parking for guests. Details can be found on our website. N +44° 34' 29" | E +14° 53' 27"